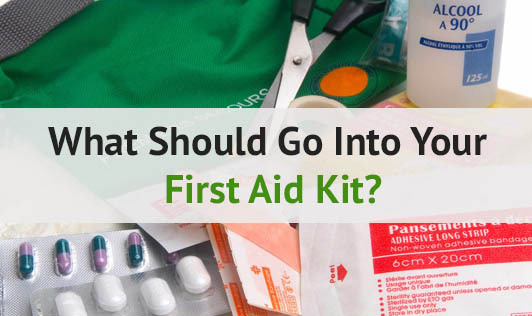 What Should go Into Your First Aid Kit? A well-managed first aid kit within easy reach is a basic necessity in every home. Keeping supplies handy ahead of time will help you deal with an emergency situation sensibly and avoid panicking. It is always better to keep one first aid kit in the house and one in the car. Also, be sure to carry a first aid kit when you are travelling or when you are out on a family occasion. You can buy readymade first aid kits at drug stores or make a one on your own using durable containers, which are easy to carry and handle. After you have stocked your first aid kit, make a note of these things. • Read the first aid manual thoroughly to understand how to use the contents. • Store the first aid kit in a place that is easily accessible for you, but should be out of the reach of children. Check your first aid kits regularly. Replace expired medicines. and also check for flash lights to make sure they are working properly. • When you are flying, make sure you carry your first aid kit in your checked in luggage as few things might not be permitted in your carry bags.